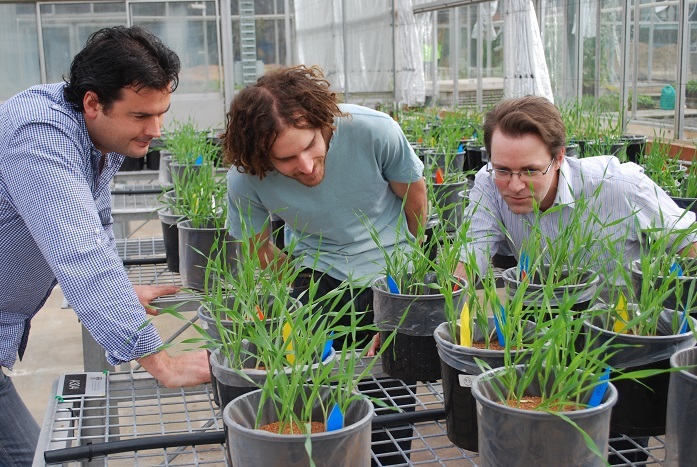 SCIENTISTS from The University of Western Australia (UWA) have discovered two enzymes that explain the sensitivity of wheat plants to salty soils. The findings could lead to advances that strengthen crops against salinity, an issue costing WA farmers more than $500 million a year. Published in the journal New Phytologist, the research from the UWA School of Molecular Sciences, the ARC Centre of Excellence in Plant Energy Biology (PEB) and The National University of Malaysia describes two enzymes in wheat that are especially sensitive to salt and that appear to be the weak link that leads to plant death in saline soils. The researchers also discovered wheat has a natural defence system that can bypass one of the sensitive enzymes, partially protecting against salt. Salinity is a global agricultural issue, and in Australia it affects more than 2 million hectares of farmland, half of which is in WA. Farmers in affected areas see crop yields reduced by more than a quarter. An improved understanding of the effects of salinity on crops at a molecular level is essential for developing more tolerant wheat varieties. UWA PEB’s Dr Nicolas Taylor, lead author of the study, said more robust varieties of wheat would not only reduce yield losses, it would allow farmers to reclaim land currently too saline for wheat crops. “Previously we knew that salt exposure causes a dramatic loss in wheat yield, but we didn’t know exactly what was happening on a molecular level,” he said. The bypass system identified by the researchers, called the ‘GABA shunt’, allows wheat plants to stop using one of their salt-sensitive enzymes when threatened by saline soil. However, the resistance provided by the GABA shunt also appears to have a limit, and is overpowered by especially saline soils. According to Dr Taylor, studying GABA shunt could lead to advances in the fight against salinity. “If we can learn how to control the GABA shunt, its timing and intensity, we may be able to boost the wheat plant’s natural resistance to salt, without an impact on yield,” he said.